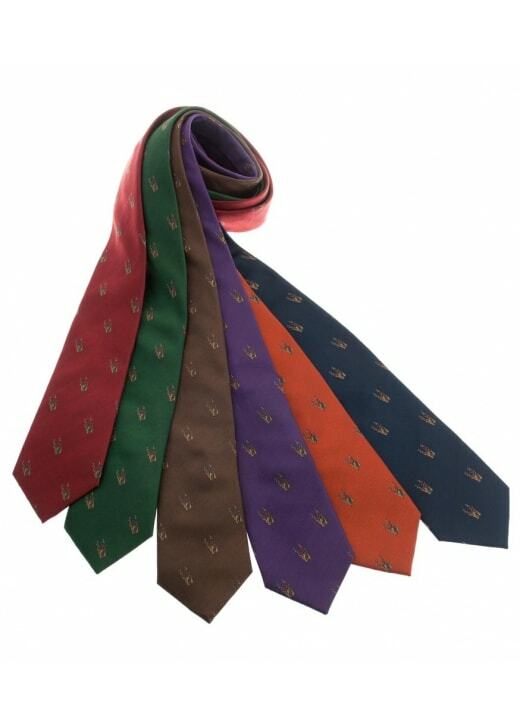 The Laksen Trophy Deer Tie is a beautifully finished silk tie perfect for every man's wardrobe. The Laksen Trophy Deer Tie is a beautifully finished silk tie perfect for every man's wardrobe. Featuring animal motifs in a country-inspired design, this tie is available in a range of colours ideal for matching with any outfit.